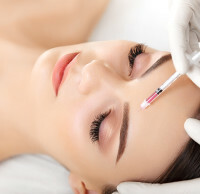 Since it's introduction for cosmetic use Botox has shown a remarkable ability to reduce wrinkles on areas such as around the eyes, forehead and frown lines. Botox has proven to be much more effective than other injectables such as collagen. When Botox is injected into specific muscles in tiny amounts it prevents a neurotransmitter (a chemical messenger) known as acetylcholine from coming out of local nerve cells. The Acetylcholine is normally used to transmit nerve impulses to muscle cells. When the acetylcholine is blocked the nerve cannot send it's signal, which results in a relaxed muscle. 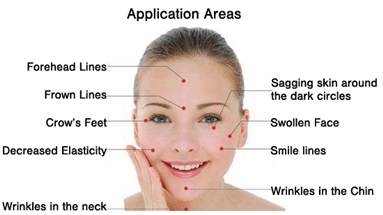 Mesotherapy is a non surgical cosmetic treatment that is known to dimish problem areas of the body. Common aesthetic pathologies are cellulite, excess weight, wrinkles, stretch marks, sagging skin, hair loss, just to name a few. It is administered via numerous injections of individual ingredients that are usually FDA approved for certain conditions. 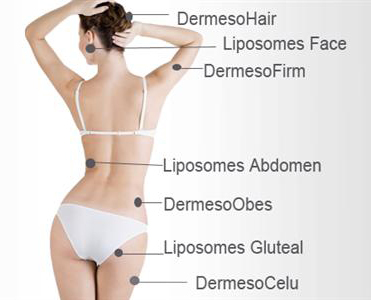 Mesotherapy is introduced into the mesoderm- the layer of fat and tissue beneath the outer layer of the skin. The mixtures, ratio and technique varies in accordance to the requirement of each patient's case, and the area to be treated. Beautiful woman gets injections. Cosmetology. Beauty Face[/caption] Plasma is the part of our blood that is rich in platelets. Platelets are important for clotting our blood and repairing our body. Platelets also release ‘growth factor’ which stimulates stem cells to repair and produce new healthy tissue. Platelet-rich plasma is obtained by separating it from your blood with a centrifuge. Because your own blood is used there is no danger of disease transmission or allergies. The treatment is ideal for individuals looking for gradual but noticeable improvement in skin texture, tone and colour with minimal or no downtime. The results give you a fresher healthier appearance. Platelet Rich Plasma is a popular treatment used to stimulate dormant hair follicles by encouraging them to start growing again. It is being increasingly being used in male and female patterns of hair loss, especially in the early stages when some hair follicles are still visible in the area. PRP Therapy contains a rich source of growth factors that enhance blood vessel formation and promote cell proliferation. 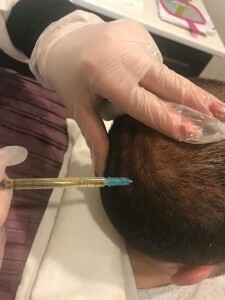 This hair restoration treatment is especially effective for those with early hair loss, though not recommended for those who are completely bald. Sclerotherapy is the injection of a small amount of solution directly into unwanted veins. The treat veins will firstly collapse and later be reabsorbed by the body naturally. Sclerotherapy consists of repeated injections of a solution into the veins. 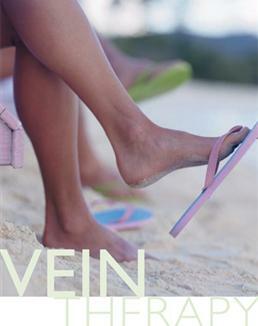 This irritates the vein lining, causing a small, inconsequential clot in the vein. The vein is compressed with a bandage for a variable time depending on the size of the vein. With the blood flow stopped, the vein will dry up and eventually disappear. The SkinMed Clinic staff provides various skin care services in non-surgical and advanced cosmetic treatments for men and women.